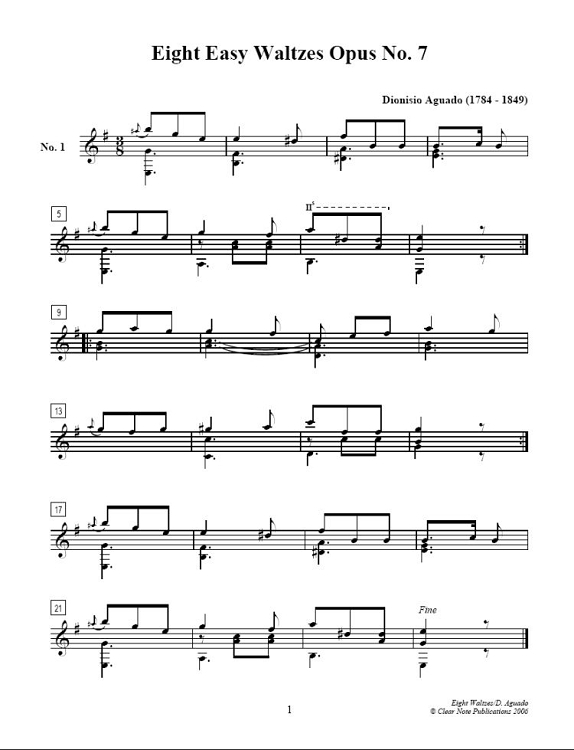 Dionisio Aguado (1784-1849) - Was born in Madrid, where he studied guitar with Miguel Garcia. In 1825, Aguado visited Paris, where he met, became friends with, and for a while lived with, fellow guitar virtuoso Fernando Sor. Sor's duo Les Deux Amis ("The Two Friends") commemorated their friendship: one part is marked "Sor" and the other "Aguado." Aguado's major work Escuela de Guitarra was a popular guitar tutor published in 1825. It is still reprinted today. In the Escuela Aguado describes his use of fingernails on the right hand as well as his invention of the "tripodion": a device that independently holds a guitar, minimizing the damping effect of the player's body on the guitar's back and sides. 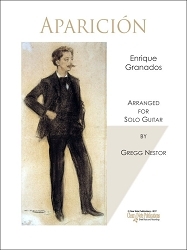 Aguado's other works include Trois Rondos Brillants (Opus 2), Le Menuet Affandangado (Opus 15), Le Fandango Varie (Opus 16), as well as numerous waltzes, minuets, and other light pieces. 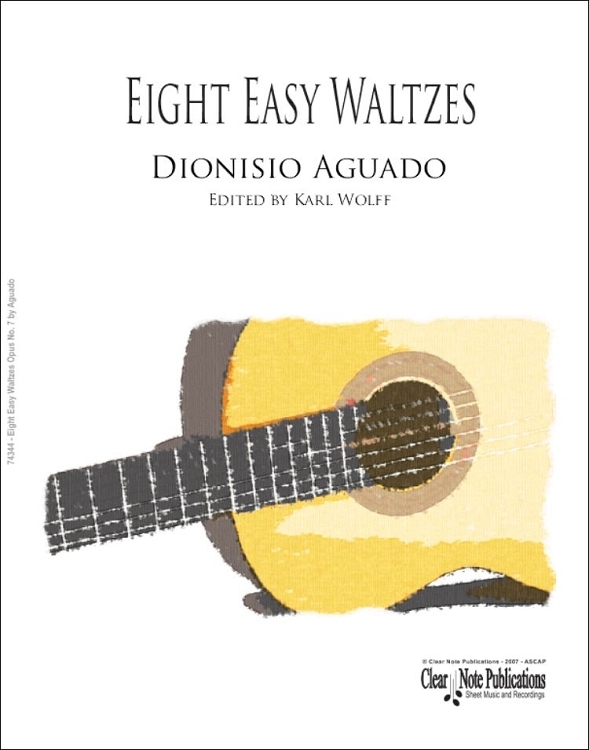 This collection of 8 easy waltzes (Opus 7) make excellent sight reading material and apt studies for the intermediate player.